Although ordinary in appearance, the cumin seed is an aromatic spice that releases a beautiful earthy flavour when it meets hot oil. A basic spice seed found in every South Asian kitchen today, its origin can be traced back to ancient Egypt, nearly 5000 years ago. Cumin is known not just for its great culinary flavour but for its medicinal properties as well and is often used as an effective digestive aid. Adding cooked, whole or freshly ground cumin to lentils, curries, sabjis (vegetable dish), chutneys, biryanis, and pulaos gives them a nutty texture and adds depth of flavour. Cumin is the dried seed of a flowering herb from the parsley family. If you saw the seed bejewelled in its white or pink flower, you’d hardly recognise the simple seed from your masaledani (spice box). Native to India, cumin seeds are also grown in Chile, Mexico, Syria, Egypt, Morocco, Turkey, Iran, Tajikistan, Uzbekistan, and China. 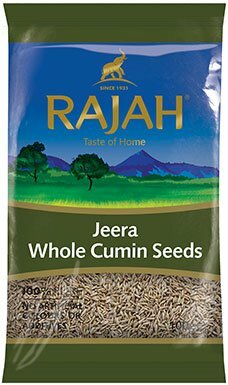 India produces 70% of the world’s cumin and consumes 90% of this, which should come as no surprise since cumin seeds are central to Indian cooking. 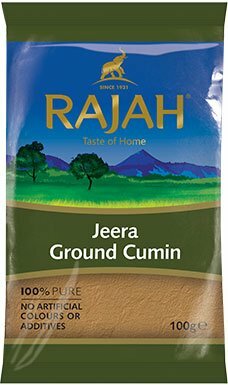 Cumin is grown in cool, dry climate and is sown in late autumn. It requires a long, hot summer to produce optimal crop and grows best in well-drained soil. Once the cumin flowers dry and fall off, the stems are cut and dried to harvest the cumin seeds. You can extract the full aroma and flavour of whole cumin seeds by dry roasting and grinding them with a mortar and pestle, or by adding them to some hot oil before you start cooking. Store cumin seeds and cumin powder in a cool, dark space, away from direct heat and sunlight in tightly closed containers when not in use. Cumin has an age-old reputation of possessing medicinal powers. The word jeera literally translates to ‘that which helps digestion’ in Sanskrit. Families who know of its therapeutic effects have been using it to sort out digestive issues, swelling, fever and heart disease. Cumin seeds add fibre to your meal, and possess antioxidants and vitamins that are key to good health.